In 2019 the European Money Week is going to be held from the 25th to the 29th of March. The joint initiative of the European Banking Federation whose member is the Association of Banks in Bulgaria (ABB) and the national banking associations has been marked in Europe for a fifth subsequent year. In 2019 the European Money Week is planned to coincide with the Global Money Week. 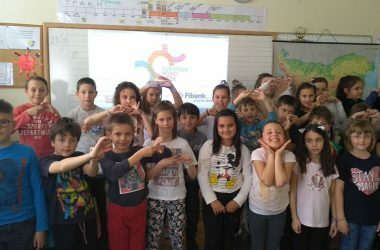 The aim of the European Money Week is to increase the public awareness on the issues of financial education and financial literacy by organizing different activities for pupils both on national and European level. 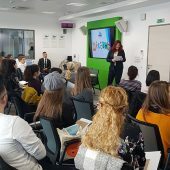 In the long run the aim of the campaign which includes more than 30 countries is to improve the level of financial education in Europe, particularly for pupils in the primary and secondary schools. 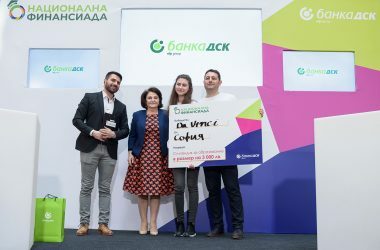 The banking sector in Bulgaria has adopted as its mission the active support and contribution to increasing financial literacy of the young people in the country as their knowledge on finances is highly beneficial and important for the society. 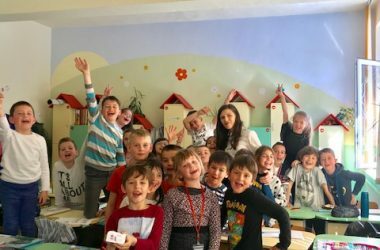 For that reason, the banks perform activities on a regular basis in order to provide knowledge to the Bulgarian pupils about their activities and to provide support for the realization of different students’ initiatives, e.g. creation and development of the activities of the “training banks”. Similar campaigns contribute to the kids understanding on how the banking sector functions and to acquire more knowledge on basic financial issues. The planned initiatives aim to encourage and educate children’s interest in entrepreneurship, responsibility towards money, and long-term planning and management of personal and family budget. 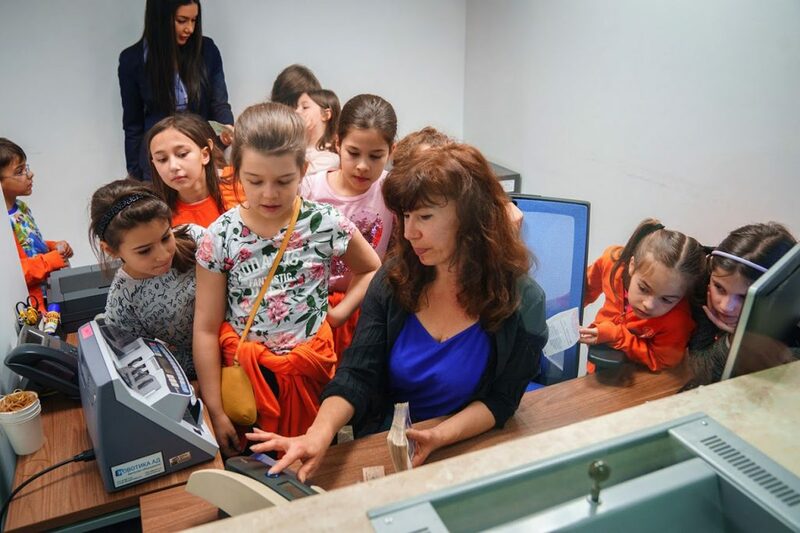 The activities include open lessons, bank branch visits, where students have the opportunity to learn about the day-to-day work of financial institution employees, as well as organizing competitions and quizzes to help children acquire financial knowledge in a funny and exciting way. 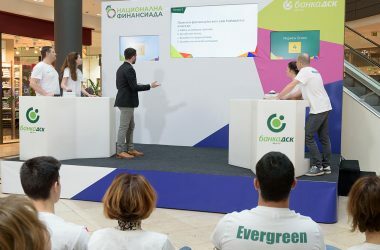 During the European Money Week 2019 activities and initiatives devoted to the increase of students’ financial literacy are foreseen by Bulgarian Development Bank, DSK Bank, Piraeus Bank Bulgaria, United Bulgarian Bank, Postbank, First Investment Bank, Raiffeisenbank Bulgaria, Citi Bank Europe-Bulgaria Branch, UniCredit Bulbank and Central Cooperative Bank. Money plays an important role in the life of modern people. They measure the value of any product or service. In our everyday life we use metal and paper money, credit and even electronic money. But what do we know about history of money? The answer to this question is given by a special brochure “Do we know the History of Bulgarian Money”, which was distributed in Sofia schools during the European Money Week. The edition was prepared by the Bulgarian Development Bank on the occasion of the European Money Week and was dedicated to the 140th anniversary of the establishment of the banking system in Bulgaria. With the liberation of Bulgaria from Turkish slavery in 1878 the traditions of the Bulgarian statehood are being restored, and one of the first things that the young Bulgarian state acquires and which greatly strengthens its sovereignty is the right to own money. The history of Bulgarian coins and banknotes, such as design, images and denominations, may also be a story of the age in which they have been issued and through them we can trace different periods of the economic, social and cultural development of the country. 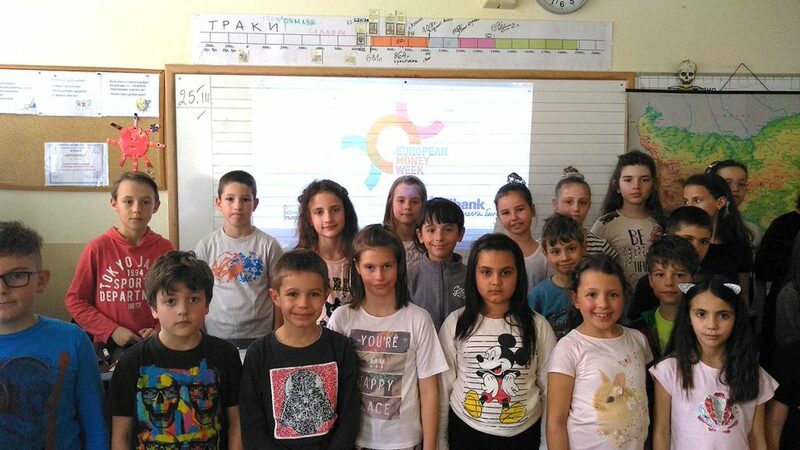 Being “goodwill ambassadors”, the children of BDB employees also took part in the initiative, presenting to their classmates the bank brochure created for the European Money Week 2019. 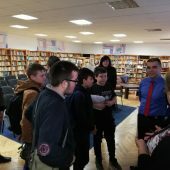 The main goal of the campaign is to improve the level of financial education in Europe, in particular for pupils in primary and secondary schools. 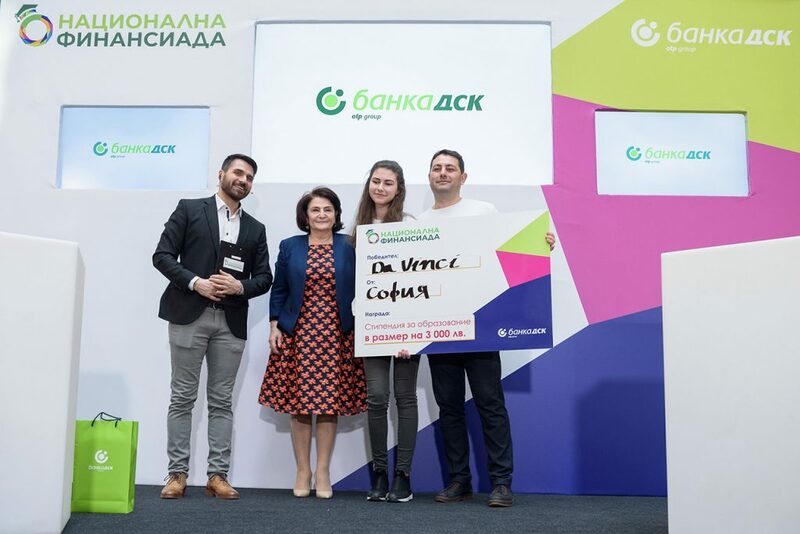 In March, in the context of the European Money Week 2019, DSK Bank organized the first edition of the National Finansiada, an educational initiative of the bank to increase the financial literacy of young people in Bulgaria. 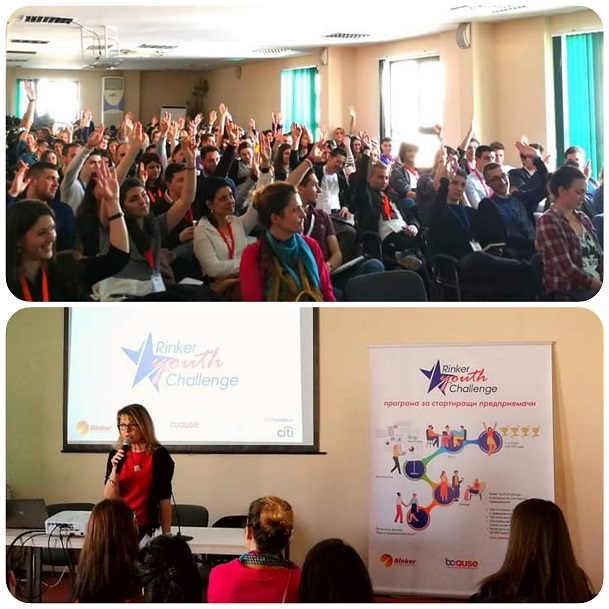 The semi-finals and final rounds of “National Finansiada” were held on 9 and 10 March in Sofia. They included 12 teams (a parent and a high school student) from Sofia, Stara Zagora, Veliko Tarnovo and Rousse, ranked among 672 teams from the first stage of the race. Within the two-day event, family teams competed against each other in games of financial and economic nature. The most interesting topics discussed in the form of questions and solving tasks were related to savings, lending, budgeting, households’ income and expenses management, and sources of funding. 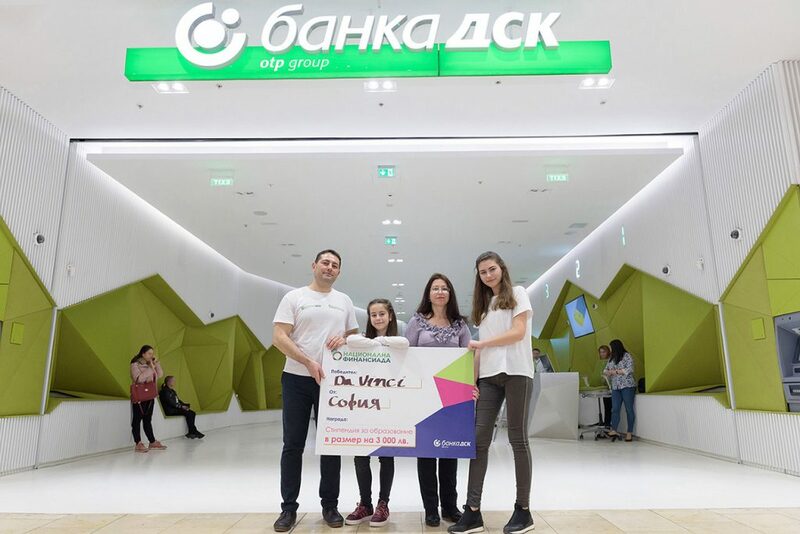 The grand prize – an education scholarship for the school year 2019/2020 amounting to BGN 3,000 was awarded to the winning team personally by Mrs. Violina Marinova, Chairperson of the Executive Board and Chief Executive Officer of DSK Bank. Following the successful completion of the first edition of National Finansiada, DSK Bank plans to develop the project in an innovative way throughout the year 2019, continuing to work long-term in the same direction of knowledge transfer to young people. For a third consecutive year, Piraeus Bank Bulgaria supported the European Money Week 2019, which is organized by the European Banking Federation with the participation of the Association of Banks in Bulgaria. 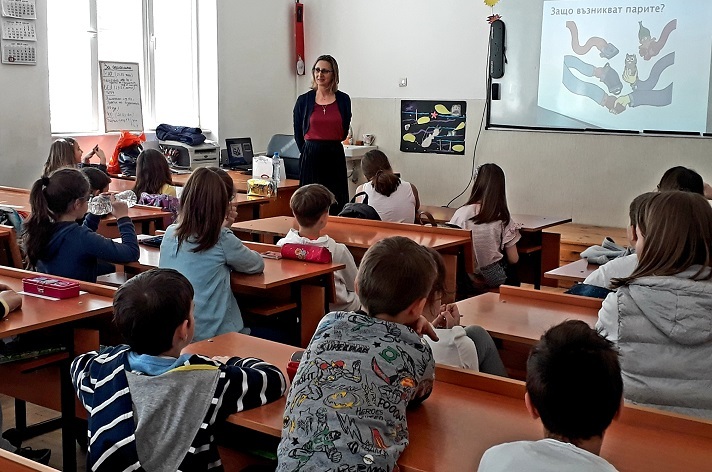 Representatives of the bank were guest speakers at 4th grade at “Otets Paisiy’ School in Kardzhali, telling the children in a child-friendly way what money is, what is the activity of a bank and shared other interesting facts in order to increase the financial literacy and knowledge of students. 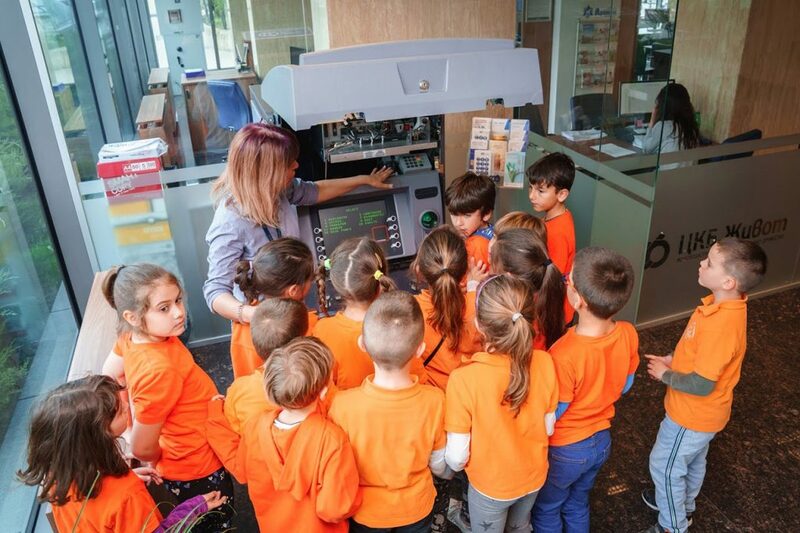 In addition to the mobile lectures program, Piraeus Bank Bulgaria is organizing an “Open Doors Day” at its central office for the students of the 2nd grade of the “Frederic Joliot-Curie” School in Sofia. 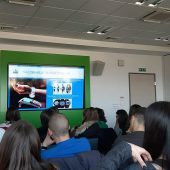 They had the opportunity to visit a branch of Piraeus Bank, where they received useful information about how a branch operates and what its main activities are. 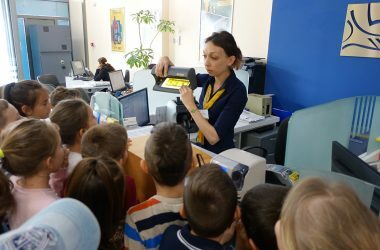 The visit also included departments from the bank’s central office in order to make children more acquainted with and to understand the functions and responsibilities of the people working there, as well as to engage children’s interest in the subject of money, savings and financial management. 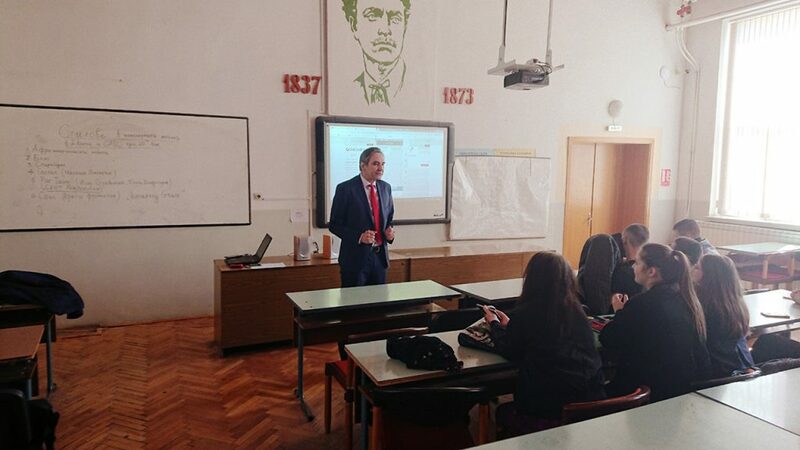 Meeting with students of European Studies at the Faculty of Economics at Sofia University “St. Kliment Ohridski”- they met Dessislava Simeonova, Executive Director “SMEs and Corporate Banking”, Dr. Kiril Velichkov, Director “European Projects and Financial Institutions”, Mila Milenova, Director “Corporate and Marketing Communications” and Julia Boyadjieva, Senior Expert, Directorate “Human Resources Management”. The aim of the meeting was, on one hand, to familiarize the students with the role of the European financial instruments and the bank’s activities as a whole, and on the other hand, to attract the attention of the young people to the announced UBB internship positions. 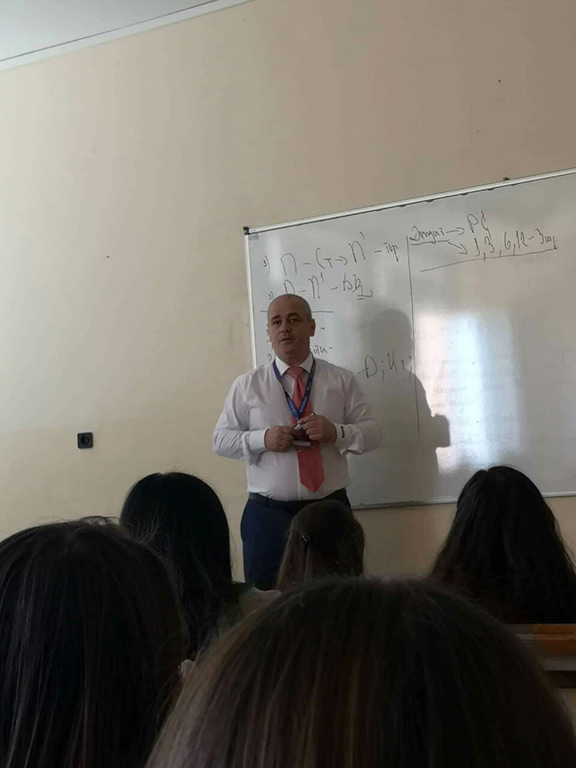 Meeting with 11th and 12th grade students at the National Trade and Banking High School – an exciting lecture on “Digitization and the Future of the Banking Sector” was presented by Alexander Papazov, Senior Expert on Innovation in Directorate “Strategy, Organization and Innovation”. 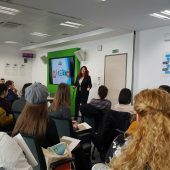 The same lecture was also given to an audience composed of members of ABLE (the Association of Bulgarian Leaders and Entrepreneurs), a traditional UBB partner, with whom we jointly implement the ABLE Activator – an Entrepreneurship Promotion Program. 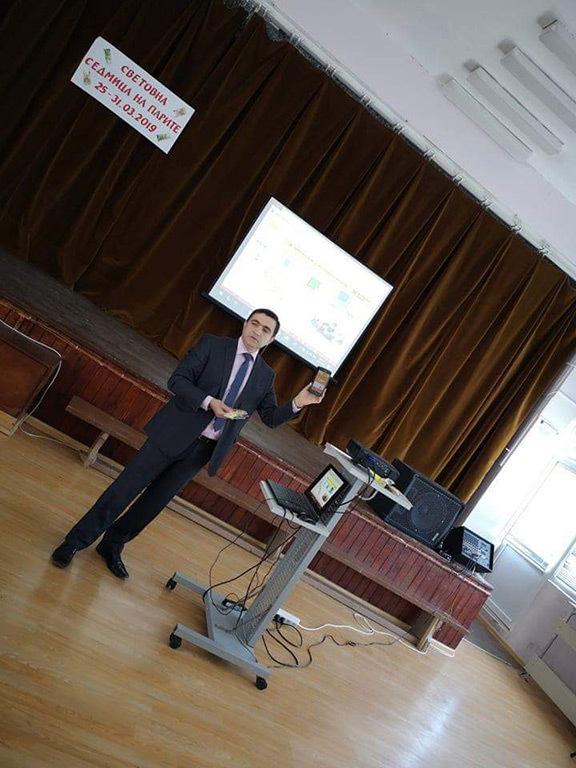 A lecture on “Contactless Mobile Payments Technologies” to students from the National Trade and Banking High School and young people from ABLE was presented by Svilen Zahariev, Head of Department “Card Products and Services” at the Card Center Directorate. For the third consecutive year, Postbank actively participated in the European Money Week as part of its overall corporate social responsibility to support young people and increase financial literacy. More than 25 open lessons in over 10 cities in the country were organized by the Postbank employees as part of the initiative. 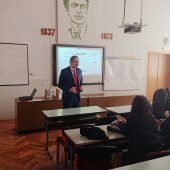 They presented to the students from 3rd to 12th grade interesting moments in the history of money and focused on savings, various banking products and the most common cybercrimes. Postbank representatives also replied to their numerous questions about various deposits and credits, e-money, Internet purchases and security of payments. 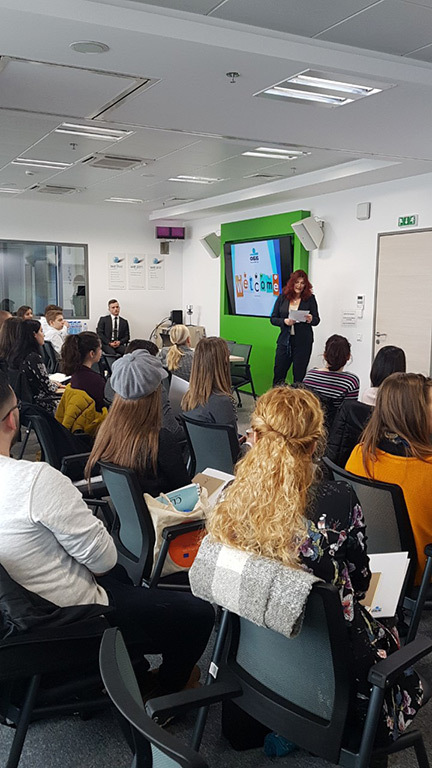 In front of students from economic schools and classes, they also shared what kind of skills are necessary for successful career in the banking sector. 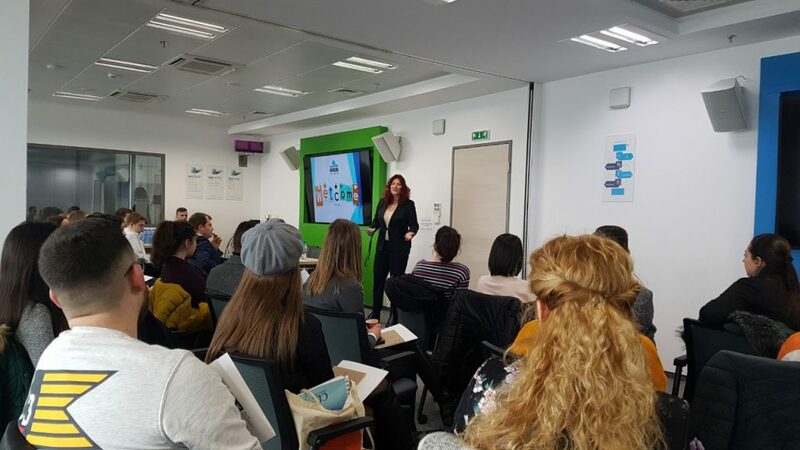 Events with the participation of experts from Postbank were carried in Sofia, Plovdiv, Varna, Burgas, Yambol, Sliven, Shumen, Aitos, Blagoevgrad, Pernik and other cities. “It is of utmost importance that everyone, since childhood, knows the value of money and is aware of the different products in order to be able to manage their personal finances successfully. Our continued commitment is to support the enhancement of financial literacy as we want to be a trusted partner for our clients throughout their lives and to provide them with the best possible financial solutions. The participation of our experts in the European Money Week this year marks record levels which shows the importance that our employees attach to volunteering and investment in society”, comments Postbank. 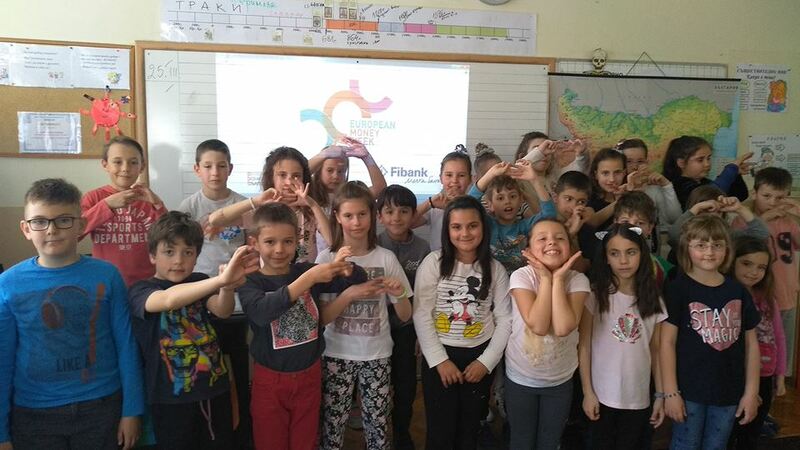 Fibank ook part in the European Money Week through activities and initiatives dedicated to increasing the financial literacy of students in a number of cities in Bulgaria including: Sofia, Plovdiv, Varna, Stara Zagora, Kardzhali, Lovech, Gotse Delchev, Montana. During the campaign, the bank employees carried out more than 30 open lessons to more than 1,000 students throughout the country. 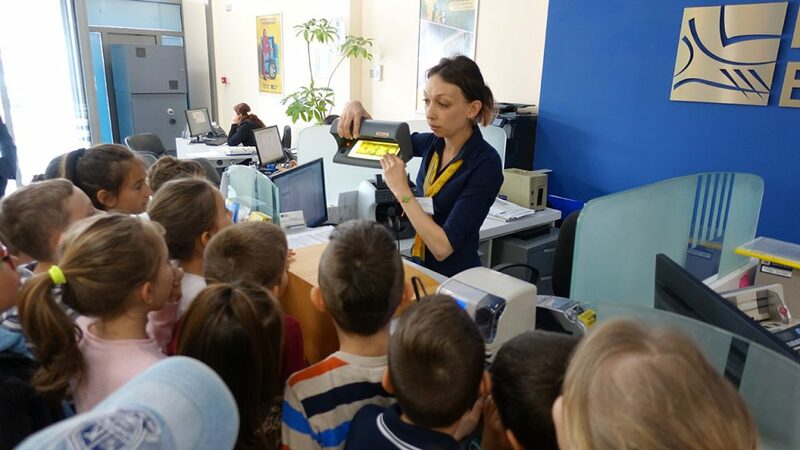 Representatives of the First Investment Bank team from the above-mentioned branches presented to the students short topics on financial literacy, books and a film “The Children and the Money”, as part of the bank’s junior financial literacy program, demonstrations of non-cash payments /payment at POS terminal with basic debit and microchip cards with accessories/. For the most active students, motivational awards and surprises were prepared. 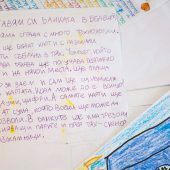 The planned initiatives were aimed at encouraging and educating children about entrepreneurship, financial responsibility, and long-term planning and management of personal and family budgets. The purpose of the bank’s junior financial literacy program is for children to acquire financial knowledge in an exciting and interesting way. Raiffeisenbank supported again the European Money Week. 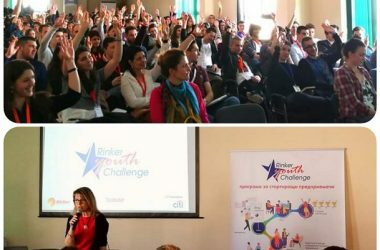 More than 100 Bulgarian students from different age groups received basic financial knowledge, thanks to Raiffeisenbank’s “Bank Hour” initiative. The campaign, which is being held for the third consecutive year, is aimed at raising the financial literacy of adolescents. 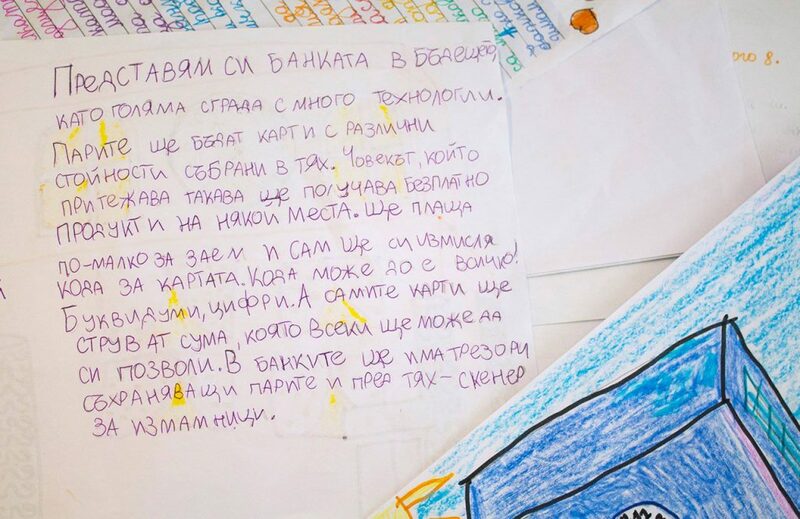 From the beginning of 2019 the students of “Nikolai Katranov” and “Dimitar Blagoev” Secondary Schools in the town of Svishtov and children from SOS Children’s Villages in Tryavna participated in the “Bank Hour” initiative. Experts from the bank prepared students for their first meeting with the financial world, introducing them to the responsible financial management and payments innovations. 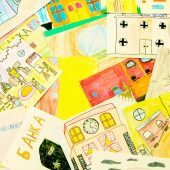 The greatest interest among them was brought on by modern online banking and contactless payment accessories, and pupils of the fourth grade drew and wrote an essay on “How do I imagine ‘the Bank of the Future'”? 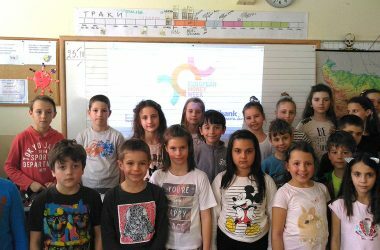 Citibank Bulgaria supported ABB’s initiative to raise awareness on financial education and financial literacy by holding an open lesson with 3rd grade students from the 6th “Graf Ignatiev” Primary School, Sofia, within the European Money Week. 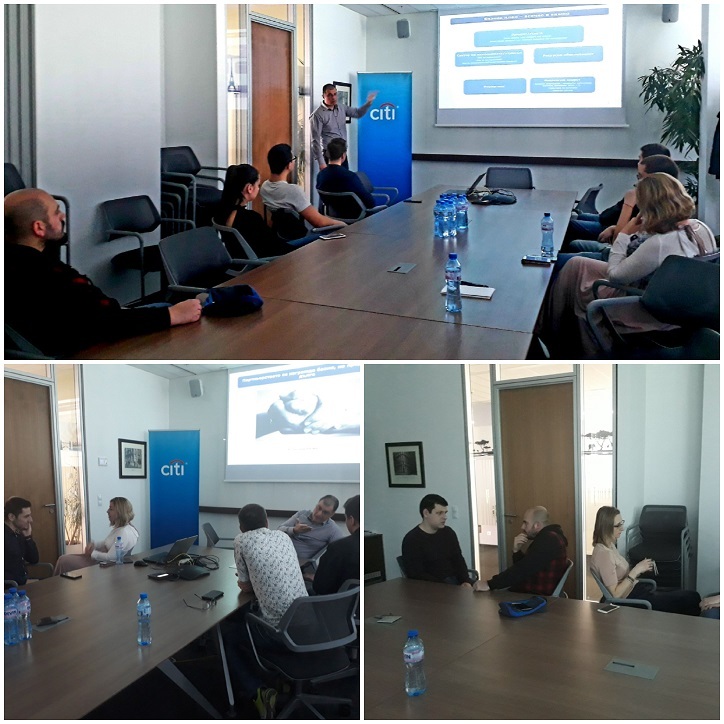 Citi business volunteers presented topics related to the emergence of money, basic banking products and services, as well as the professions of people in the banking sphere. 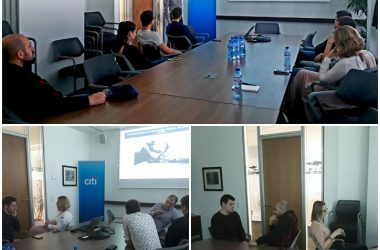 Beyond the specific initiative, in the past few weeks, Citibank employees have played the role of mentors and business consultants and have worked with pupils and students in the framework of the long-term financial education and entrepreneurship promotion programs supported by the Citi Foundation. 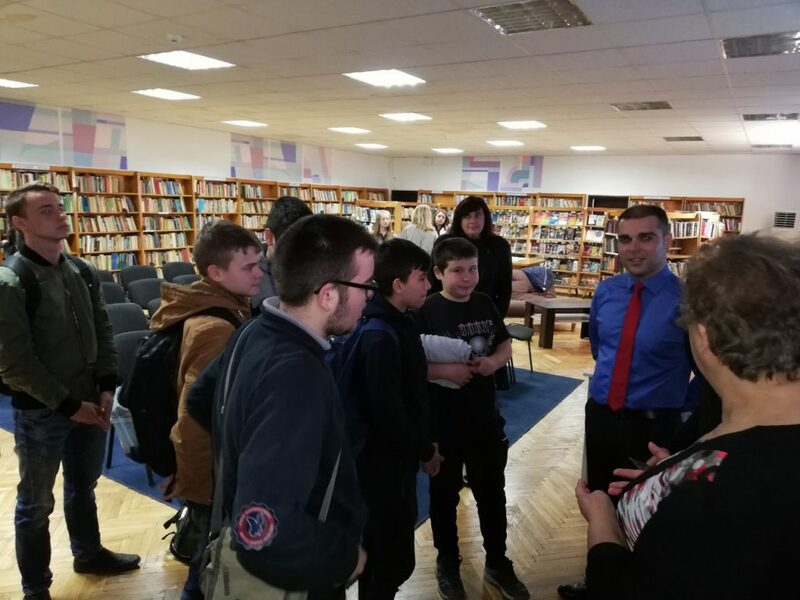 During the European Money Week 2019, Central Cooperative Bank gave the opportunity to fifty students from the first and second grade of 119th School “Academic Mihail Arnaudov” in Sofia to become bankers for several hours. They visited CCB Headquarters and witnessed the customer service process. 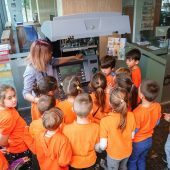 During the tour, the children saw the cash desks and bank vault, an ATM was opened for them, and the bank employees explained the functioning of the device. Students had the opportunity to “transform” themselves as bankers, sitting at the employees’ desks and recreating the customer service process. UniCredit Bulbank is a traditional partner of the European Money Week. This year, bank experts held educational lectures in front of pupils and students across the country. The lectures were focused on sound financial management, as well as online security. Daniela Popnikolova, branch director, gave a lecture on “Online Security” to students from the High School of Economics in Varna – “Dr. Ivan Bogorov”. 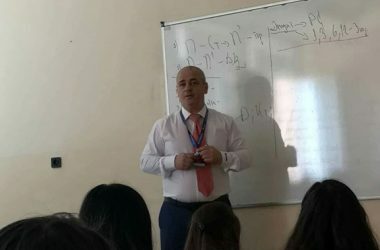 Nikolay Tafrov and Georgi Grozev, directors of branches in Plovdiv, presented a lecture on “Financial literacy” to students from the National Trade High School in Plovdiv. 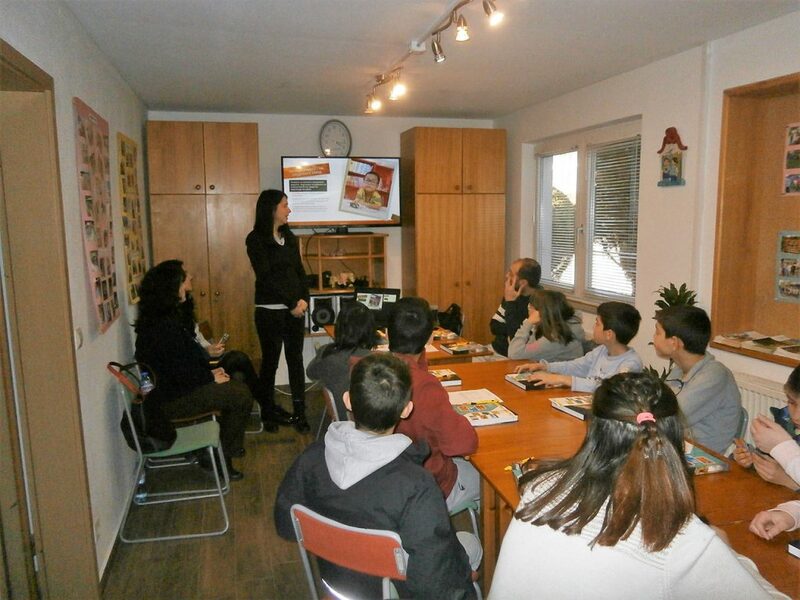 Desislava Stankova – Sales Manager, Vidin branch, held a presentation on “Safe Use of Bank Cards, Online and Mobile Banking” to students from 8th and 9th class from “Asen Zlatarov” High School, Vidin. 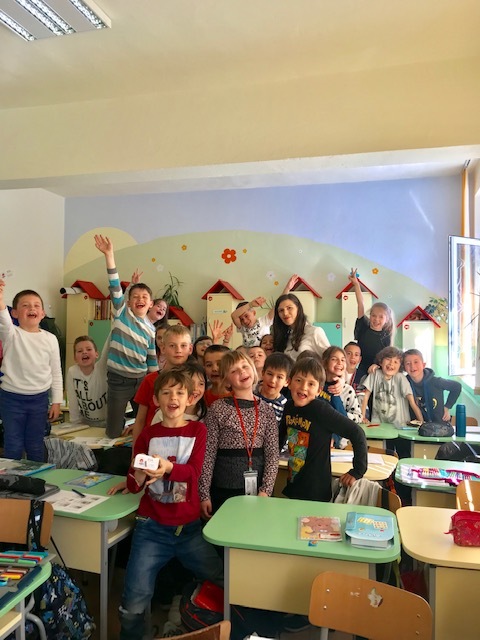 On March 21st, 25th, 26th and 28th, Desislava made a presentation on the topic “Where does the money come from?” to students from the 3rd class of “Tsar Simeon Veliki” school in Vidin. 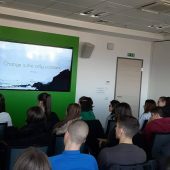 On March 26th, together with Iliya Patsev, regional investment product expert, Desislava Stankova held a presentation on “How to invest some day?” to teachers and students from the 8th and 11th class of “Mihalaki Georgiev” High School of Tourism. 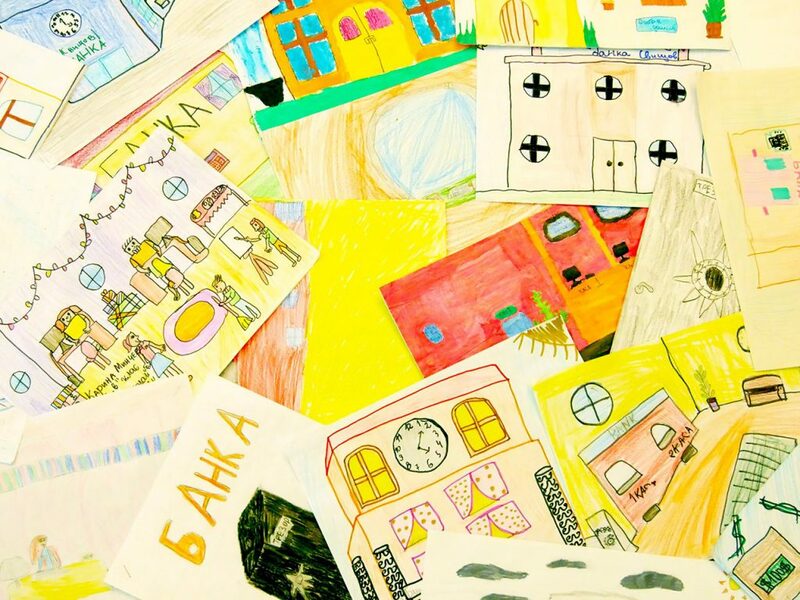 On March 27th, students from the 11th class of Sofia “P. 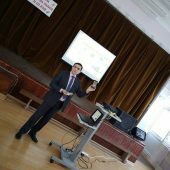 R. Slaveikov” school Desislava presented the main banking products.